Win the Powerball lottery in Canada! Buy tickets online for the world-record breaking Powerball jackpot at Lottoland! The PowerBall lottery draw takes place twice a week on Wednesday and Saturday evenings at 11:00pm EST in Tallahassee, Florida. Choose 5 numbers from 1–69 and a ‘PowerBall’ from 1-26. A single ticket costs from just $ 4. Select the PowerPlay option for the chance to multiply non-jackpot wins by up to x10! Powerball awarded the biggest lottery jackpot of all time - on January 13, 2016 3 lucky winners split USD$1.586 billion! 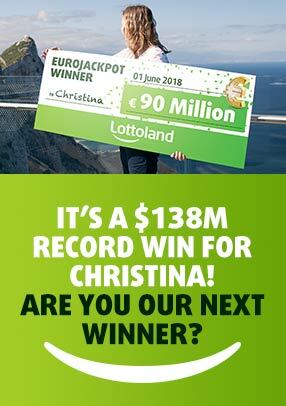 Have your shot at the next big Powerball jackpot from Canada only at Lottoland.